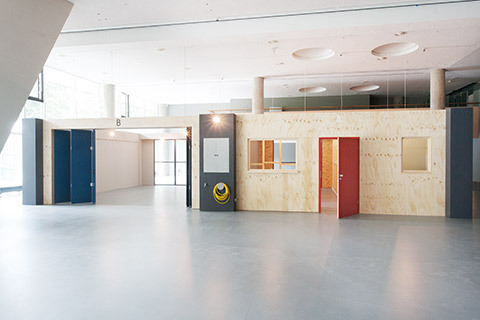 The exhibition "Wohnungsfrage“ at the Haus der Kulturen der Welt in Berlin hits the contemporary debate on economic living space in the cities. Urbanites, immigrants, students, senior citizens, people on average incomes and people on low incomes: They are all faced with the “housing question” (strictly speaking, it’s a whole bundle of questions! ), with one being more pressing than the other. What solutions are there to combat soaring rents? How can we maintain – and further advance – affordable housing schemes? How can we generate the requisite supply of new housing without forfeiting the insights gained in the debates on architecture and climate change? What can be done against segregating market mechanisms that squeeze out the existing inhabitants and leave downtowns desolate and empty? Let’s face it: There is no easy answer to any of the above. Indeed, of late voices have been raised championing elegant Wilhelminian-style villas as the model dwelling going forward and dismissing (technological) advances in building and construction as unnecessary: “Why should buildings that have admirably stood the test of time not suffice in future too,” a feature in the “Süddeutsche Zeitung” daily argued not so long ago. So does that mean Wilhelminian-style villas for all? A highly elitist concept if you ask me. As a matter of fact, the speed, the price and the beauty of our future conversion and building endeavors hinges on a prevailing pragmatism that rejects current debates on quality and content as completely irrelevant. A possible outcome: a special kind of workaround, borne out of some imaginary emergency situation. “The sovereign is he who decides on the state of emergency,” propagated Carl Schmitt, an expert in constitutional law said to have fascist leanings. In order to solve the current crisis and state of emergency, the real-estate and building industries are happy to offer custom-fit solutions – provided the relevant building laws and regulations are “liberalized” and “pruned” accordingly. The downside: The resulting offerings have zip to do with the housing question. At least not in the sense of how the makers of the eponymous exhibition (“Wohnungsfrage”) currently on show at Berlin’s Haus der Kulturen der Welt (HKW) approached the subject. The show comes at a perfect time. Yet is it willing and indeed able to provide blueprints that – ideally as plug-&-plays can become built reality as early as tomorrow? At the opening, Bernd Scherer, Artistic Director of the HKW, explained that the intention of the project was not to capture “the housing question in its totality”, but to zoom in on a highly particular perspective. In curating the show, Jesko Fezer, Nikolaus Hirsch, Wilfried Kuehn and Hila Peleg, have concentrated on one special aspect, “and that is the users perspective,” Scherer states. He calls to mind the fact that “the housing market is now ruled by capital”, has been for decades, and by way of segregation is pushing the original users out of the inner cities. The HKW’s “Wohnungsfrage” project borrows its title from a polemic that Friedrich Engels wrote in 1872 in preparation for his crusade against utopian socialists such as Pierre-Joseph Proudhon and liberal economists such as Emil Sax. Engels declares: “It is not that the solution of the housing question simultaneously solves the social question, but that only by the solution of the social question, that is, by the abolition of the capitalist mode of production, is the solution of the housing question made possible.” Part of the 12-volume publication accompanying the exhibition, Engels’ polemic has been reprinted and supplemented with commentaries that investigate the role of the “specific intellectual” in line with Foucault (Reinhold Martin) or discuss Engels’ argumentation in the context of gentrification or the Occupy movement (Neil Smith). When you step inside the HKW (the structure, originally built as a congress hall and the US contribution to the 1957 Interbau exhibition, takes its cue from a design by Hugh Stubbins), a gigantic mound attracts the eye in the otherwise fluid environs of the Mid-Modern space. 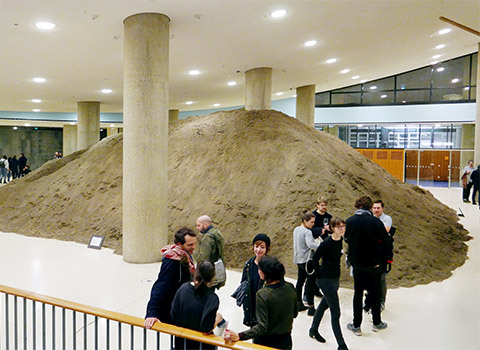 “Berlin Excavation” is a piece by artist Lara Almarcegui, who exhibited in the Spanish Pavilion at the 2013 Venice Biennale and specializes in arranging residue materials such as stones and boulders in the spatial context. For the installation 400 cubic meters of soil were excavated in Chausseestrasse, precisely where the upmarket “Feuerlandhöfe” residential complex overlooking the new headquarters of the Federal Intelligence Services is currently taking shape. Outside the museum building and in the foyer of the HKW there are lines indicating the footprints of pre-War courtyards and buildings, which artist Maria Eichhorn has projected onto the present architecture. The quarter’s history is documented by excerpts from the Land Register. 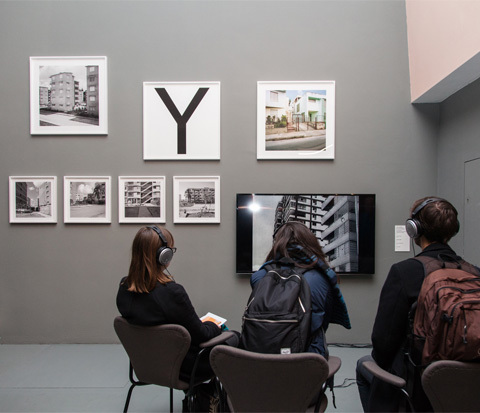 The core of the project and exhibition is devoted to initiatives whose members do not regard themselves as the victims of the housing question’s economic and political processes, but instead become actively engaged protagonists and, drawing on Engels for inspiration, take matters as they find them, redressing “the most appalling evils with existing resources.” Out of these, the curators selected four action groups and brought them together with international architecture firms. 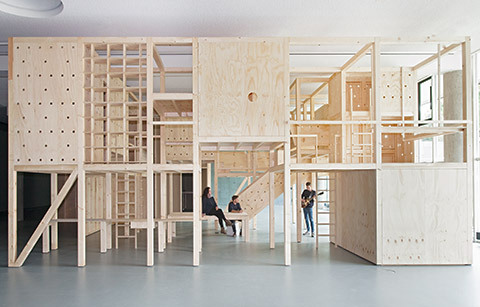 The collaboration culminated in four walk-in architectural models on a life-size scale that can be experienced spatially and in terms of their communal and individual applications. The “Kooperative Labor Studierender” (Kolabs) joined forces with Atelier Bow-Wow from Tokyo. 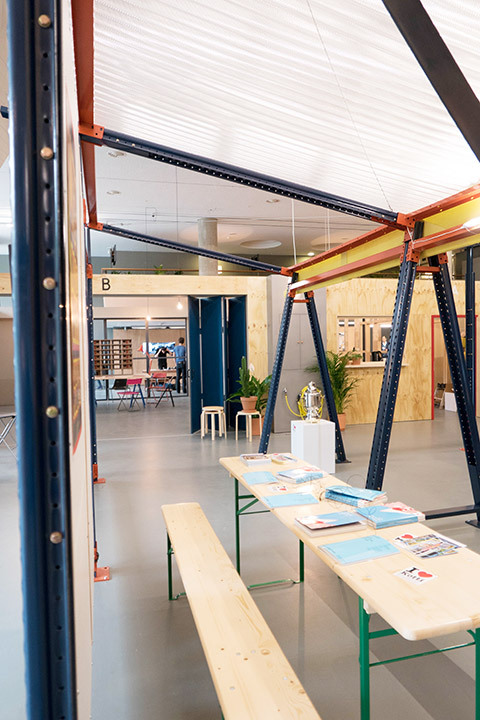 The Berlin-based tenants’ association “Kotti & Co” cooperated with Estudio Teddy Cruz + Forman from San Diego. 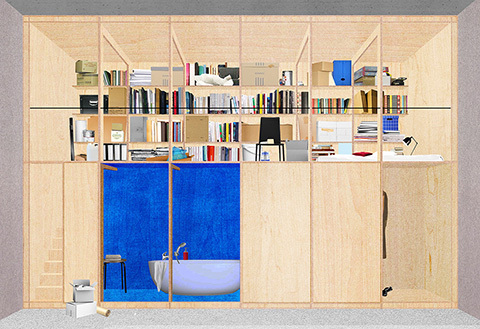 The “Realism Working Group”, founded at Frankfurt’s Städel Academy, investigates forms of collective occupancy for residential properties and work spaces. 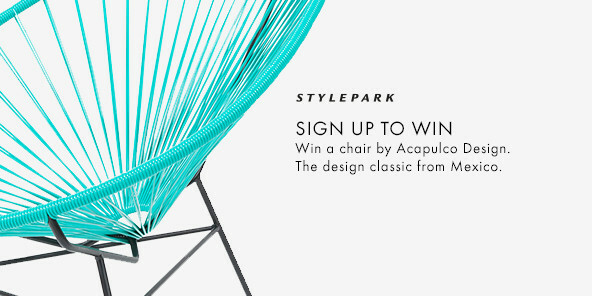 It joined forces with Dogma, a Belgian architects’ consortium. “Stille Strasse 10” from Berlin’s Pankow district, a meeting place for young and old, teamed up with London-based architects collective Assemble. On show are visionary apartments or sections of them. The most stunning structure has been produced by Atelier Bow-Wow and goes by the name of “Urban Forest”: a playfully conceived multiple-storey sequence of rooms with a clear-cut design, an open timber frame structure organized around a central meeting place and dining area. 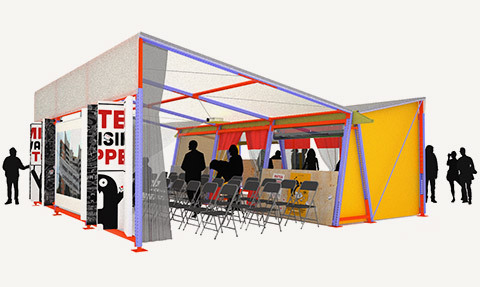 For “Kotti & Co”, the tenants’ community that fights being evicted from their formerly subsidized apartments, the team developed a construction kit for mobile protest, assembly and information spaces. It is produced by an industrial high-bay warehouse manufacturer located in the Mexican city of Tijuana. 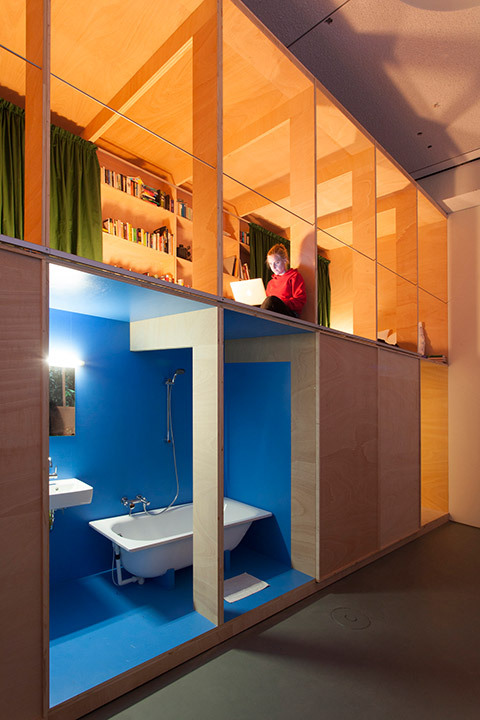 Together with the artists’ initiative “Realism Working Group” an “Urban Villa” was designed with two-storey wall units destined to enable working and living in a compact space. 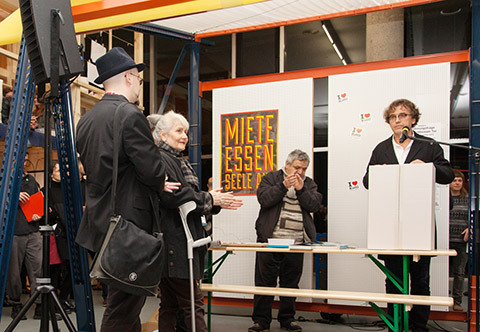 While “Stille Strasse 10” addressed the topic of communal and autonomous forms of living for senior citizens, with individually adaptable footprints and a mix of own property and rented premises. The exhibition revolves around the relationship between public and private. 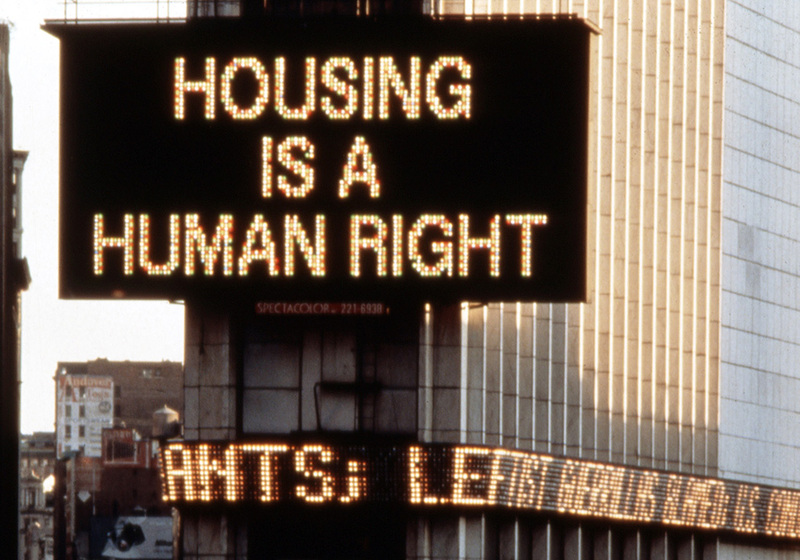 Viewed in this light, the housing question is one about living spaces we already have and want to change. In addition, it also explores ideal accommodation we would like to have and investigates the processes that are needed to create it. 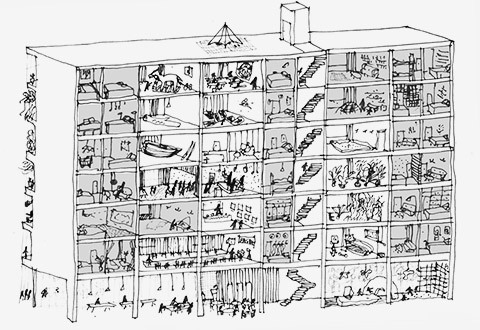 In a nutshell, the topic of discussion is therefore not housing for people on low incomes, but the kind of residential spaces that enable both privacy and communal living. Living in isolation, so the common conception, may soon well be replaced by living in the community. Albeit under one premise: The conditions and changes of these living environments have to be continually renegotiated. Those feeling somewhat confused by the projects outlined above and believe they haven’t really grasped any of what is presented here, is best advised to approach the subject by studying a number of historical examples. 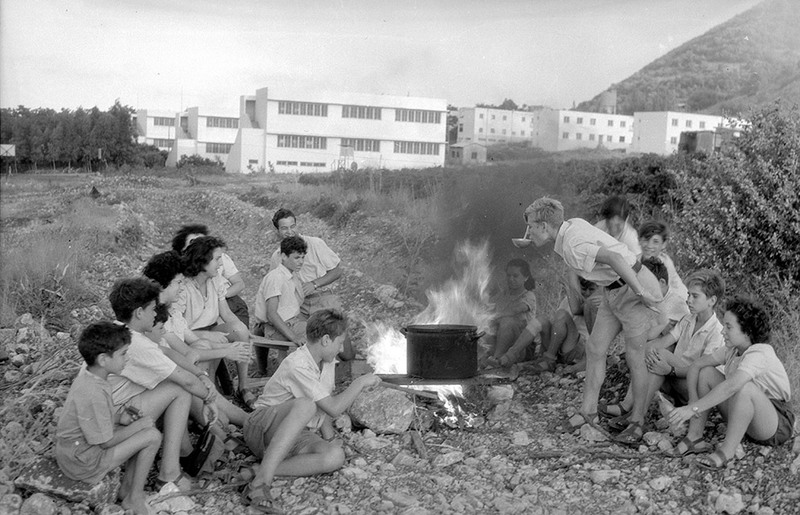 Take, for instance, the documentary on the history of the architecture and use of “Jagur” kibbutz near Haifa, established in the early 1920s. Built in an austere rural environment, designed by Modernist architects including Richard Kauffmann, Arieh Sharon and Erich Mendelsohn, it was originally designed as a housing estate that was part of a large residential development. To this very day its inhabitants work to the benefit of the entire community. Galia Bar Or and Zvi Efrat illustrate its genesis and architecture, along with the practice of negotiating still actively championed by its residents, in a compact independent section or exhibition. Using film and photo documentation the duo also sheds light on the SAAL (Serviço de Apoio Ambulatório Local) building project in Portugal, a national housing scheme that ran from 1974 to 1976. 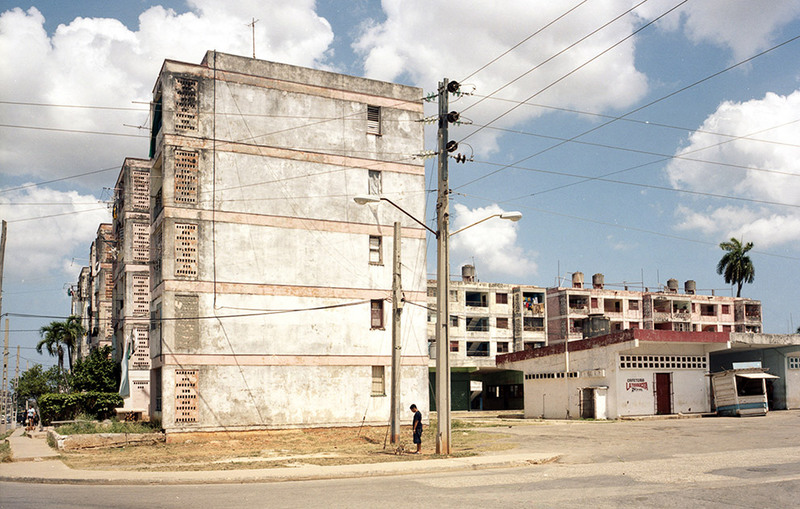 Another focus of the exhibition: the self-help housing initiatives known as “micro-brigades” in Havana, which involved neighborhoods joining forces to create new living spaces. A lighthouse project that Fidel Castro proudly presented to Mikhail Gorbachev during the latter’s 1989 state visit to Cuba. Austerity in terms of shapes, a negotiation of processes and approaches, and simplicity in the results: Just like the exhibition, the subject calls for in-depth analysis and debate. But not to worry: With its 12-volume series of publications, “Wohnungsfrage” readily provides some four kilograms of carefully researched and well-presented reading material for those wishing to immerse themselves in the subject. Packed with reproductions and historical research, documentaries on selected projects by architects and action groups, rounded out by the essay and atlas volume “Housing after the Neoliberal Turn”. So is it worth the effort? What becomes clear is that housing is by no means synonymous with beautifully decorated withdrawal from everyday life outside. That our own four walls do not necessarily have to provide that homey feel-good alternative to what’s outside, but can indeed be part of a world that openly engages in debate. So do these endeavors necessarily culminate in the kinds of social revolts that Engels propagated as a precondition for solving the housing question? Rather not. Instead, the exhibition provides inspiration for all those who dislike being told how they ought to live, those who point up alternatives, sometimes in a belligerent, sometimes in a playful manner. There are no instructions for future building because living is a matter of negotiation between everyone involved. Into the dust with the enemies of Brandenburg! Come to Brandenburg with us! For behind its fences and trees, in the meadows and on the lakes we have discovered amazing architecture well worth exploring. 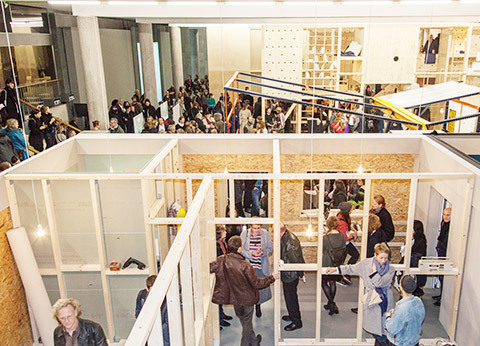 Four action groups teamed up with international architecture studios for the show. The “Kooperative Labor Studierender” (Kolabs) joined forces with Atelier Bow-Wow from Tokyo. … and addressed the topic of communal and autonomous forms of living for senior citizens. The housing question is one about living spaces we already have and want to change.